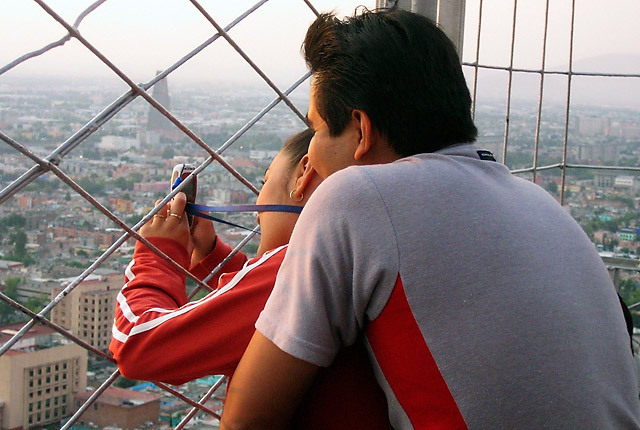 Mexican Lovebirds: A young couple enjoys the sunset view from the Latinoamerica Tower, Mexico City, Mexico. Snapped on: May 4, 2005. Canon PowerShot SD200 f4 1/10sec. Site based on � Quixotic Pixels (gasshō) Photographs � Dennis Mojado.